On a lovely afternoon in August the annual Duck race took place on the Markie Burn. As ever a great turn out of young and old to cheer the ducks down the burn and then back to the Hall for tea and a lovely selection of home-made cakes. These were really enjoyed by everyone and we could vote on the ‘Go Quackers’ entries. 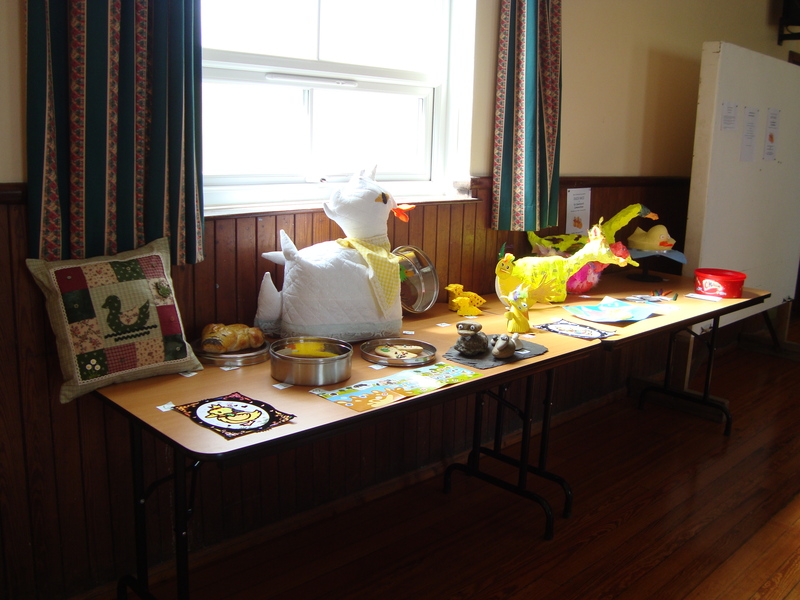 See the photo gallery for more photos, but here is the table with the entries! Very well done to everyone what a variety of entries and great fun was had by all! Posted on 17/11/2012 by Secretary GCA.